HAVE YOUR DREAM COMPUTER BUILT WITH US! Pandya Computer, Inc. can now build your very own custom desktop for any of your personal or business needs. All of the components that are going to be put inside of you custom system will be chosen by you. If you're going to put a ton of pictures on your system, you'll have the option of the size of the hard drive you wish to install. Do you think you'll be doing a lot of video editing? We'll let you choose from a vast amount of RAM and video cards. Anything you want in your own personal or business computer, our experts will walk you through the process and have your computer to you in a timely manner. WANT THE ULTIMATE GAMING COMPUTER? We can now create your own one of a kind custom personal computer. We can build the perfect console to meet your expectations and requirements. Our computers specified for gaming have accelerated performance, stylish design, and exquisite compononents. 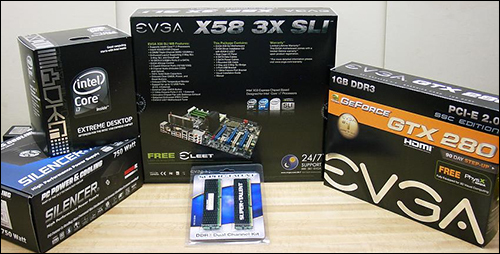 We can help you choose all of your custom components from your motherboard to your graphics card. Your custom computer will have you online and in the gaming community in a flash! We'll build your computer exclusively for your gaming needs! You can choose from literally thousands of hardware components to put in your own personal or gaming system. SO CONTACT US TODAY AND TOGETHER, WE'LL BUILD YOU THE COMPUTER YOU DESERVE!